Back in the late 70's/early 80s, BMW motorcycle's were not exactly "sportbike" oriented. Enter Mike Krauser, president of Krauser Inc which was at the time the world’s largest manufacturer of detachable luggage for motorcycles. 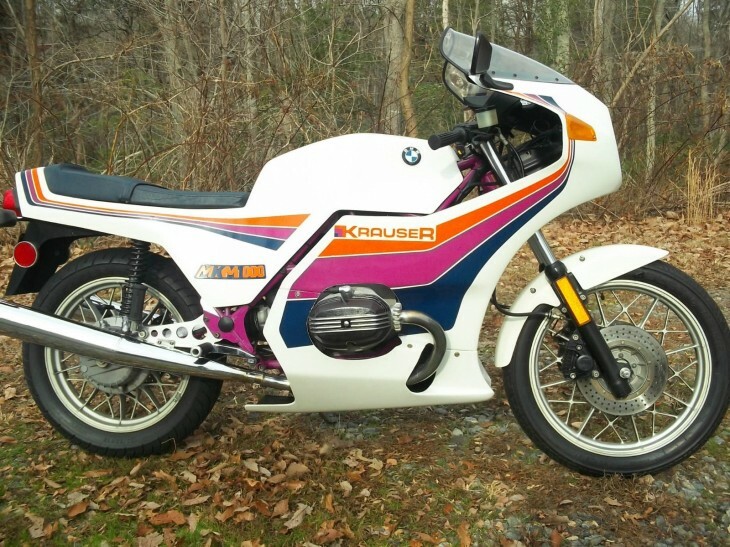 Krauser Inc was especially well known for the luggage they made for BMW motorcycles and Krauser was a big fan of BMW – he considered them to be the total package at the time in terms of quality, simplicity, and durability. Krauser undertook an effort to design a road machine that would be top of the line and working with designers, the result was an entirely new concept in frame design wrapped around a BMW engine. The end result was sold as the BMW Krauser MKM 1000. Weighing just 496 pounds wet, the MKM was lighter than all of its competition, including the Ducati Super Sport and the Moto Guzzi Le Mans. Despite a production run of only 100 over only two years, the bike was an instant classic due to it’s distinctive style and 70 horsepower – the most powerful stock airhead that was produced at the time. 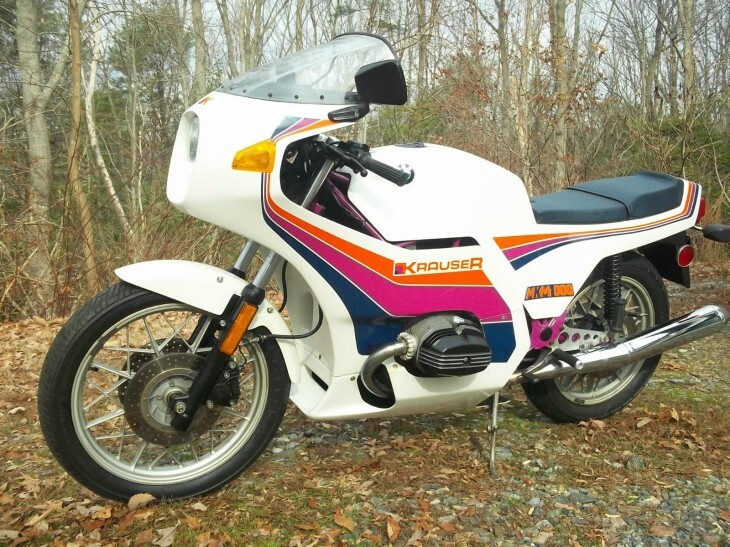 The extra power was due to optional proprietary Krauser 4 valve heads which unfortunately weren’t very reliable but the high price at the time (14,000 USD) meant that the MKM1000 was usually "a millionaire’s ride" anyway. 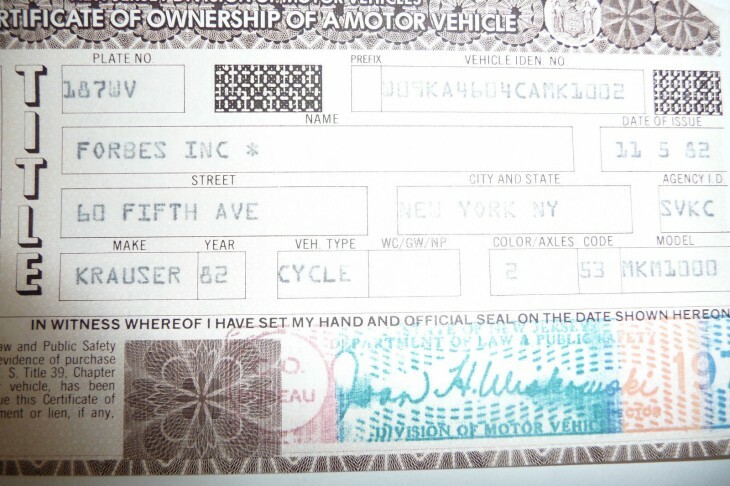 And according to the seller, that is exactly who the original owner of this bike was, none other than Malcolm Forbes Sr., creator and publisher of Forbes Magazine. 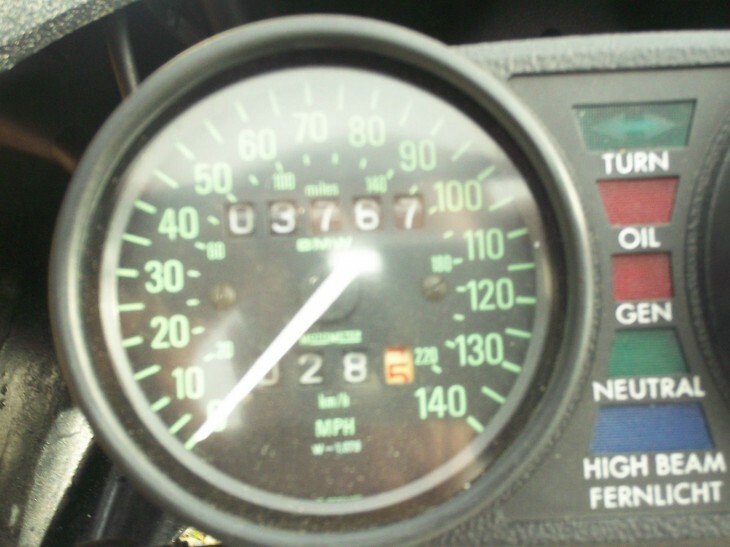 This particular example is said to have only about 3,800 miles on the odometer and included with the bike are the original Krauser rear stand, the original Krauser Build Book for the bike, and also the paperwork from Forbes Magazine. Lastly, according to the seller this very bike will also be featured in an upcoming classic bike magazine article, to be published early in 2014.